Stay tuned for 31 Days of German Riesling 2019! Registration for restaurants and businesses is currently open. 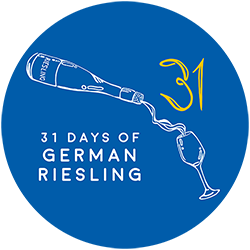 We will be announcing more details for how you as a consumer can participate in 31 Days of German Riesling!